Shot from 'I Never Cry'. Directed by Piotr Domalewski’s (‘Silent Night’) starring newcomer Zofia Stafiej as Ola with Irish actors Shane Casey (‘The Young Offenders’) David Pearse (‘Vikings’) and Nigel O’Neill (‘Bad Day for the Cut’, ‘Game of Thrones’) with veteran Polish actors Arkadiusz Jakubik (‘Clergy’, ‘Silent Night’) and Kinga Preis (‘The Lure’, ‘53 Wars’), as well as Cannes Best Actress winner Cosmina Stratan (‘Beyond the Hills’). ‘I Never Cry’ (Jak Najdalej) is produced by Jan Kwieciński (‘Panic Attack’) of Warsaw-based Akson Studios, and co-produced by Julie Ryan of Ireland's MK1 Productions (‘Christmas Perfection’, ‘A Bend In The River’, ‘The Young Offenders’). The film was shot on location in Dublin, Ireland and Warsaw, and Olsztyn in Poland. The script was also written by Piotr Domalewski whose previous film ‘Silent Night’ won the Golden Lions at the Polish Film Festival in Gdynia in 2017, as well as nine Eagles (the Polish Film Awards) in 2018. Domalewski is considered one of the most talented Polish directors of his generation. 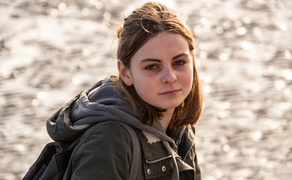 Domalewski’s second feature film, ‘I Never Cry’ revolves around 17-year-old Ola, who goes to Ireland to bring back the body of her recently deceased father who was working in Ireland to support his family in Poland. Ola also has another objective in mind – she plans to retrieve the money that her dad had promised her so that she could buy a car. While dealing with the foreign bureaucracy, the young woman comes to realise that she is, in fact, more interested in getting to know who her father really was than anything else. Acclaimed cinematographer Piotr Sobocinski leads the charge with Production design by Katarzyna Filmmoniuk/ Edyta Flezar, Costume Design by Aleksandra Staszko/Sarah Yeoman and Hair and Makeup Design by Daria Siejak/Linda Mooney. The project was presented at the Polish Days of the New Horizons International Film Festival, connecting Cottbus and the Les Arcs Coproduction Village in 2018. The film is supported by Polish Film Institute, Screen Ireland, Eurimages, Mazovia Warsaw Film Fund, and Warmia-Masuria Film Fund. Distributor negotiations are underway with world sales still available.